Take our advanced Conversion Rate Optimization certification course and master the art of creating a compelling set of principles that helps your company increase the number of people they convert on their website. With our conversion optimization training, you can learn all there is to know about designing optimal landing pages and tracking consumer behavior by use of heat maps. What are the objectives of the conversion rate optimization course? It is vital for businesses to understand why visitors on their site aren’t becoming paying customers. With this knowledge, they can take steps to enhance their bottom-of-the-funnel sales strategy to convert more visitors. With this Advanced conversion rate optimization certification, participants will be able to create a systematic framework that increases conversion rates using enhanced landing page designs and other website conversion rate optimization techniques. What skills does this conversion rate optimization training aim to teach you? Understand a website’s traffic flow and adapt your marketing campaigns to make the best possible use of this knowledge. Grasp the skill of persuading a potential lead. Study different strategies to create enticing campaigns to gain a customer’s attention. Comprehend the process involved in making repeatable conversion rate optimization. Understand the concept of specific testing hypotheses and develop creative ideas that you can use on your website. Who should take this conversion rate optimization training course? How do I get my certificate in advanced Conversion Rate Optimization (CRO) from Simplilearn? What are the prerequisites for the conversion rate optimization certification? This course does not have any prerequisites. However, participants will have a smoother learning experience if they have a working knowledge of Microsoft Office. It is also advisable that students take our Conversion Optimization Foundations course if they haven’t done so already. We’ve learned a lot … people stay on our site longer, and they’re more likely to download content, so we’ve been able to improve those conversions. We’re now better prepared to build excellent sites from the ground up, bringing in many analytical, social, and persuasive elements required in today’s online environment. We redesigned our company’s website using the practices I learned … We’re already having increased success with on-site engagement. Website conversion rate optimization is a robust marketing framework that helps organizations tap into the traffic they receive and convert visitors into leads or sales. What are the benefits of being certified in conversion rate optimization? When you train in conversion rate optimization, you learn new skills and techniques to persuade people who come to your site to buy your products or service. This ability is precious to companies; hiring professionals trained in this domain will enhance their profits. A certification helps in this process - it shows an employer that a professional has been tried and tested in this field and is well-versed in Conversion Rate Optimization (CRO) concepts. Who gives me the conversion rate optimization certification after I complete the course? When you complete this conversion rate optimization training, Simplilearn gives you a certificate of completion. How much does the conversion rate optimization certification training cost? 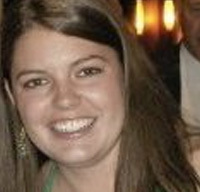 Market Motive’s conversion rate optimization training costs $299. 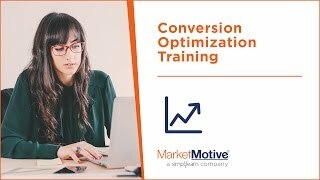 What tools are included in this conversion rate optimization training course? With this course, you will learn how to use conversion rate optimization tools like Crazy Egg and Feng-GUI. Is the website conversion rate optimization training cost inclusive of the exam fee? The conversion rate optimization certification course cost includes the Market Motive exam. How much can I potentially earn as a conversion rate optimization professional? Is the advanced conversion rate optimization training up to date and relevant? Market Motive aims to give students the best-quality content that is in sync with current industry standards. Our experienced trainers, perform constant research to ensure that they infuse the course content with the latest trends. Our instructors are experts in their respected fields and analyze changes in the market and update their content to reflect those changes. How long does the conversion rate optimization course take to complete? This Conversion Rate Optimization (CRO) course would require approximately 20 – 30 hours to complete. Do I have to order any Conversion Rate Optimization (CRO) course material? No, you will not need additional material for this course. This certification course includes everything that you will need for this module. Along with access to the training course, participants are also given access to quizzes, sample projects, and downloadable workbooks. Who are the instructors of this Conversion Rate Optimization (CRO) course? Our instructors are Subject Matter Experts in their fields. With decades of experience under their belt, they bring an abundance of professional knowledge to the table. How do I enroll in this Conversion Rate Optimization (CRO) program? You can enroll in this program on the Market Motive website. To get access to the course, make an online payment using any option given below. After this, a receipt will be mail to you and access to the course will be given. Can I extend the access period of the conversion rate optimization course? Yes, you can pay a fee and extend the access period for the Conversion Rate Optimization (CRO) course. Our reliable Customer Service will help you with the process. You can reach them with our Help and Support portal. Whom should I contact if I have trouble accessing the Conversion Rate Optimization (CRO) course? Contact our support team through our Help and Support link for any problem you may face. The Live Chat link can also be used to chat with someone in real-time with one of our Support team members. 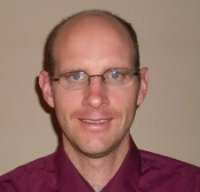 Whom should I contact to learn more about the conversion rate optimization training program? What happens if I don’t pass the Conversion Rate Optimization (CRO) exam? Market Motive’s exam can be taken twice without an additional fee. How popular is Market Motive's Conversion Rate Optimization (CRO) course? Over 2000 participants have learned from this course, and more are on their way to get certified. Enroll in our conversion rate optimization course and watch your career take off.